Given a scholarship right befor the season began, the special teams stalwort will play his final home game. 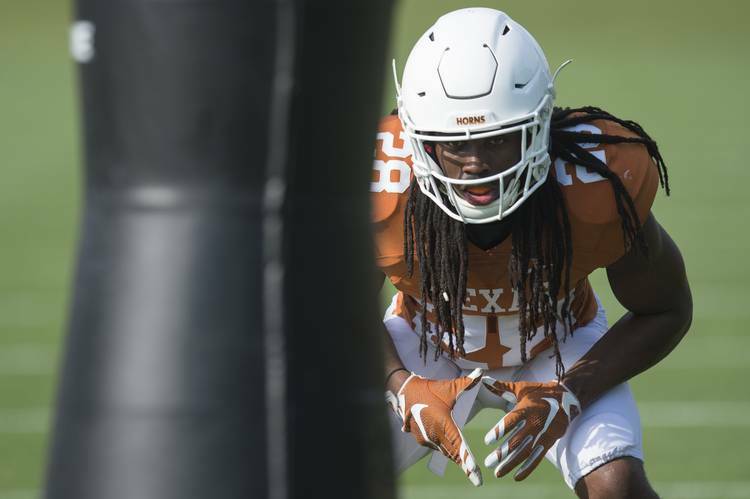 Saturday night, Jarmarquis Durst will step into the spotlight at Royal-Memorial Stadium as Texas says farewell to its senior players. Durst doesn’t have 15 career sacks like fellow senior Charles Omenihu has to celebrate ahead of his final home game. He doesn’t have past interceptions to remember like fellow defensive backs Kris Boyd, Davante Davis and P.J. Locke III do. He won’t be wrapping up a whirlwind career like Jerrod Heard or closing out a family legacy like Breckyn Hager. An all-district receiver at Conroe’s Oak Ridge, Durst started his collegiate career at Division II Tarleton State. But after two years and a position change, he no longer felt like the Texans were a fit. The coaching staff had changed. He was hundreds of miles away from home. A teammate had recently passed away. So, Durst decided to take “a shot.” He applied to Texas and was admitted into a social work program in need of black men. He walked onto the football team that fall. The decision to walk on, of course, came with risks. He had left behind a scholarship and a financial aid package that his older sister, Destiny, had worked hard to secure. When he first arrived in Austin, living arrangements were found through strangers and happenstance. And when Charlie Strong was fired at the end of the 2016 season, he had to prove to another coaching staff that he deserved a spot on the roster. Durst, 6-1, 200, has played on the Longhorns’ kickoff coverage unit this season, and that’s where he’ll line up against Iowa State on Saturday. He’s made one tackle this season, in the opener at Maryland. For the pregame ceremony, he’ll run out of the tunnel and be greeted by his mother, Carla, and a few family members. Since the seniors can only have six guests on the field, Durst will also have family and friends cheering from the stands. The second-youngest of 11 kids, Durst was raised in the Houston area by his mother. McDougald said that Durst’s father and a couple of his brothers had been incarcerated. Durst estimated that during his childhood, he never lived in the same area for more than three years at a time. Years later, Durst thinks his story can be an example for the kids he will work with in the future. He sees himself as a role model to his 14 nephews and nieces. He currently lives with his younger brother, Bishop, who is training to become a barber. Durst hasn’t given up a dream of playing professionally. Regardless, his time at Texas is coming to a close. He doesn’t know if he’ll get emotional as that end nears, but he plans on having fun.